When I turned on the Olympics last Thursday, I took note of one athlete in particular: Jamie Anderson. I naturally gravitated to her digital media and grabbed a capture of her twitter profile. 13.3K followers and an olympic dream. Well, that dream came true for Jamie and her reach was rewarded according. Here is her current twitter profile and climbing. And a summary for the week looks like this, including 20,268 new followers yesterday without sending out a single tweet. Massive Media Engine. Most media outlets (all with their own reach) are pointing its viewers to Sochi. Success under this fire power brings digital media reach to the "stars" of the games. Stories. As Jamie found success, the stories spread, 1 of 8 siblings, free spirit, etc. The Olympics are about stories and Jamie had one to tell. Gradual release. Previously, you'd wait from prime time TV. With the age of digital, the media is released over time (TV hitting nearly 1 day away) which increases the noise of the reach. Everyone has their own channel (adding to #1). People love to talk about current events on social media. Even if you missed the New York Times piece on Jamie, chances are you saw one of your friend's posts. Authenticity. If you watch Jamie, you get the feeling she's real. The reason I grabbed her screen capture in the first place. Never been done before. Jamie had additional eyeballs on the Slopestyle course as the event was one of the first out of the gates and new to the games. A big name points to the event. Besides, leading the games, and being new, a big name–Shaun White (1.3 million twitter followers)–also pointed his reach directly to Slopestyle when declined to compete in the event. Follow another success. Sage Kotsenburg captured a gold medal and similar twitter growth the day before Jamie. This peaked interest in Jamie's performance. Win. Winning is the greatest point of differentiation. 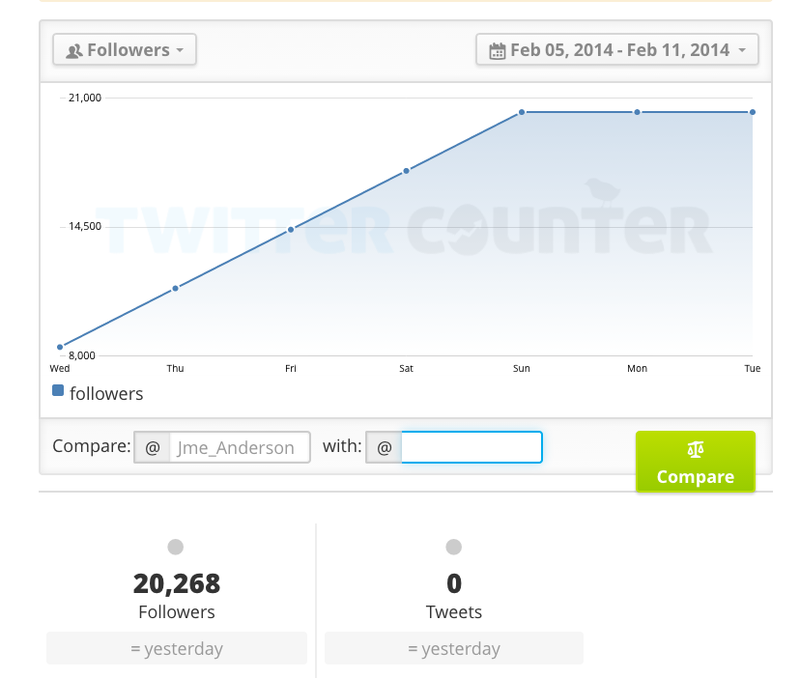 The silver medalist's twitter reach grew by about 4% the number of followers as Jamie. 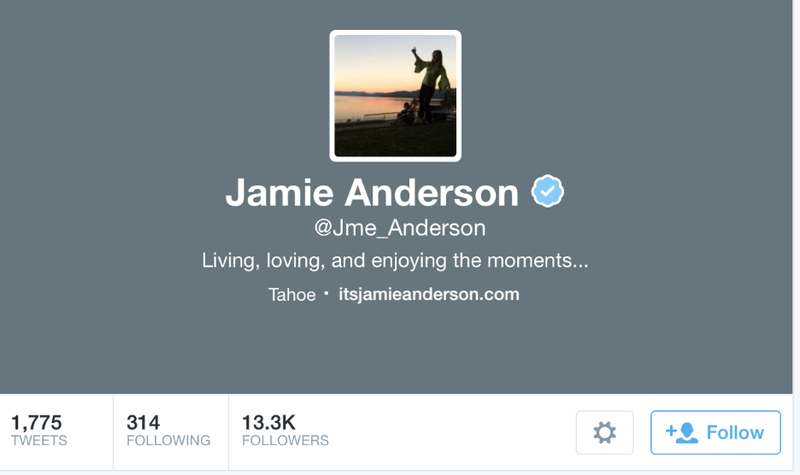 Jamie Anderson arrived in Sochi with a dream and a twitter profile. Now she has a gold medal and reach. Congrats!